The lineup of Mazda crossover SUVs available at the Gwatney Mazda of Germantown showroom are available in a variety of sizes and with a wide range of capabilities. Buyers looking for something that is nimble, efficient and still offers a flexible interior should take a very close look at the current version of the Mazda CX-3. The subcompact crossover SUV picks up a subtle styling refresh, boost in performance and an upgraded interior. Customers will have a lot of choices in this segment, making the comparison of the 2019 Mazda CX-3 vs. 2019 Ford Escape all the more important. The Mazda CX-3 delivers a quiet performance in this tightly-packed class. Customers can schedule an appointment with the 2019 Mazda CX-3 and a Gwatney Mazda of Germantown product expert today by calling, 833-241-6312. 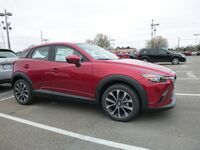 Independent reviews of the 2019 Mazda CX-3 have a lot of positive things to say about subcompact crossover SUV. 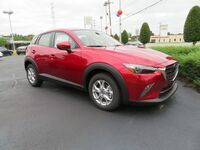 At the top of the list of things automotive experts praised for the current Mazda CX-3, the vehicle’s ‘attractive and comfortable interior’ quickly move it in front of the 2019 Ford Escape. The reviewers scored the interior of the Mazda CX-3 highly for its modern and attractive interior that is comprised of top-notch materials. Additionally, all four passenger doors open more than wide enough to allow for easy entry and egress. On the other side of the equation is the 2019 Escape with its interior that might not live up to what its Mazda competitor has to offer. The same reviews knocked the Escape for having a dated interior with uninspired materials. 2.0-L, 4-Cyl. Engine 2.5-L, 4-Cyl. All three available trim grades of the 2019 Mazda CX-3 use the same powertrain. Under the hood of the current subcompact crossover SUV is a naturally aspirated version of the SKYACTIV®-G 2.0-liter, four-cylinder engine that is mated to a six-speed automatic transmission. It will produce 148 horsepower and 146 pound-feet of torque. It’s true that the 2019 Ford Escape makes more power than the 2019 Mazda CX-3, however that will come with a fuel economy penalty. 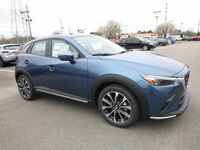 Models of the 2019 Mazda CX-3 with front-wheel-drive can achieve up to 29 miles per gallon in the city and 34 miles per gallon on the highway. Corresponding versions of the 2019 Escape can record only up to 21 mpg in the city and 29 mpg on the highway.